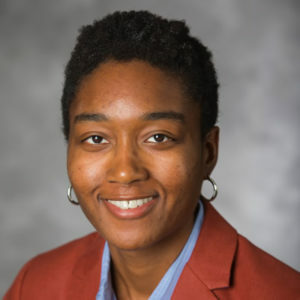 I am a twentieth-century United States historian whose research and teaching focus on African American history, women’s history, and the history of sport. I believe that sport is intrinsic to American culture and history, carrying the potential to initiate critical discussions about race, gender, mass culture and media, and labor. I am particularly passionate about investigating the journeys of minority and female athletes in country club sports. Currently, I am writing my first book. “The Match of Her Life” a critical biography of the first African American to win titles at Wimbledon and the U.S. Open, between 1956 and 1958. “The Match of Her Life” (Book In Progress). “Swinging for the State Department: American Women Tennis Players in Diplomatic Goodwill Tours, 1941-1959.” Journal of Sport History: 42.3 (Fall 2015): 289-309. Visiting Fellowship for Post-Doctoral Scholars, James Weldon Johnson Institute for the Study of Race and Difference, Emory University, 2017-2018. Research Associateship, Five College Women’s Studies Research Center, 2016-2017. National Edward Alexander Bouchet Graduate Honor Society, 2016. 30th Annual Graduate Student Essay Prize, North American Society for Sport History, 2015. Presidential Merit Fellowship, George Washington University, 2010-2015.